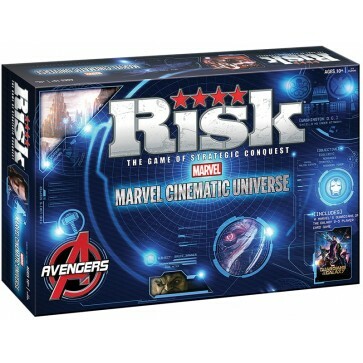 RISK®: Marvel Cinematic Universe features not one but two different games! 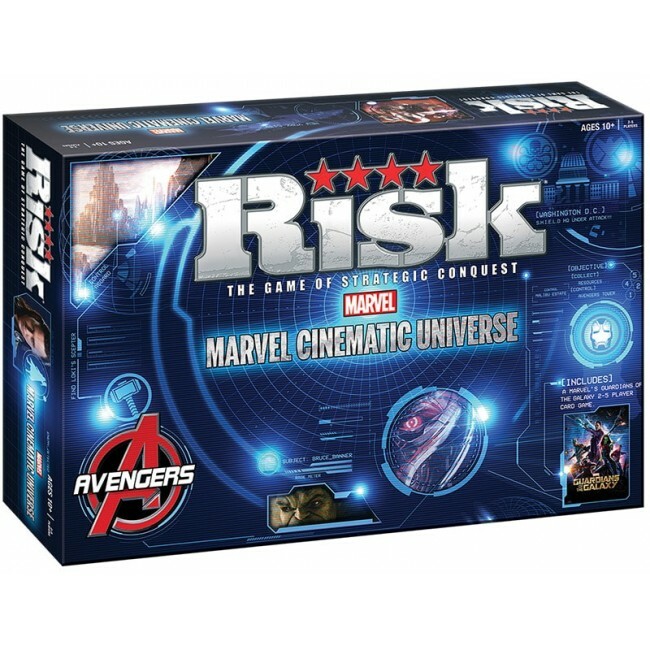 Assemble your friends and foes and battle to rule Manhattan in RISK®: Avengers Edition, which is based on the traditional RISK® game where players vie for control of Manhattan. Then flip over your game board and fight to control the Orb in the Guardians of the Galaxy Card Game.